Temporary tattoos have become a big thing recently, with so many celebrities sporting them during the festival season its become a big fashion trend. 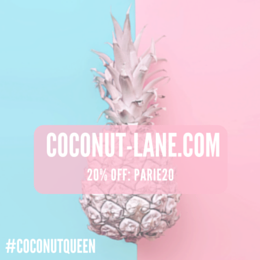 Sol Tattoos are a brand that have taken this as inspiration and created jewellery like flash tattoos that are beautiful and luxurious. They were kind enough to send me a packet to get creative with! I love been creative sometimes and when the Mimosa (£6.99) packet popped in my letterbox I was very excited. The pack came with two sheets, one which is full of strips and the other that is full of little tattoos to design your hands, feet or body with. The tattoos are very easy to apply and remove. To apply, you pick your tattoo from the sheet, take off the clear film, place where you want it and apply water for about 30 seconds and then remove. You will be left with a gorgeous tattoo. To remove, rub it off water or baby oil -easy peasy. 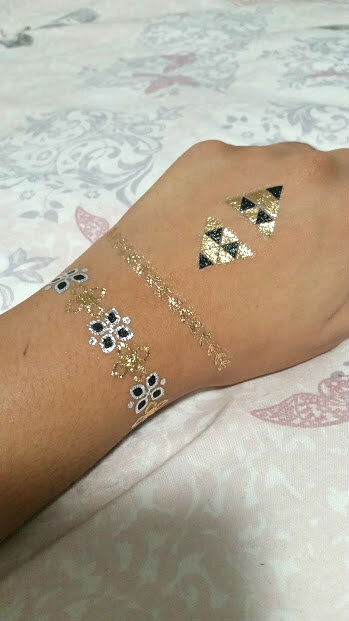 Applying temporary tattoos really takes me back to my childhood, but I only ever to used to apply barbie and child ones. These are a bit more grown up and sophisticated. I paired a few together that I thought looked nice on their own and together WOW. Love! 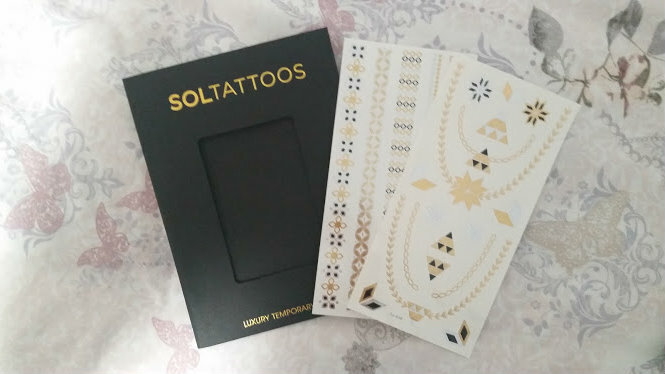 What I really love about Sol Tattoos is that each pack and page lets you get as creative as possible. You can mix and match until your heart desires and it will still look amazing. I'm definitely going to be using these all summer long to give me that boho, festival vibe. 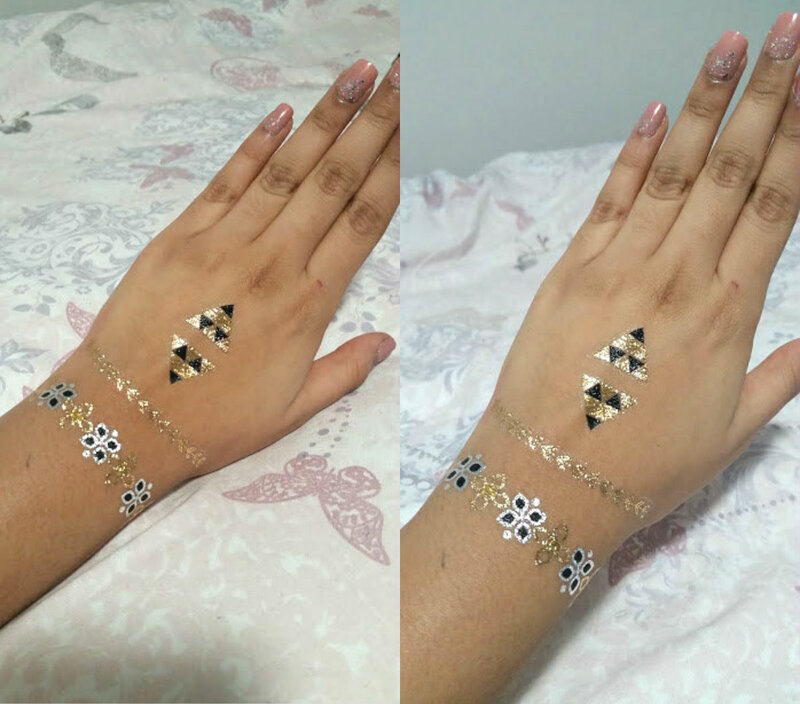 Why not buy yourself some gorgeous temporary tattoos and style them to your own liking! My nails look so much better with them as well, makes me look and feel like a celebrity.